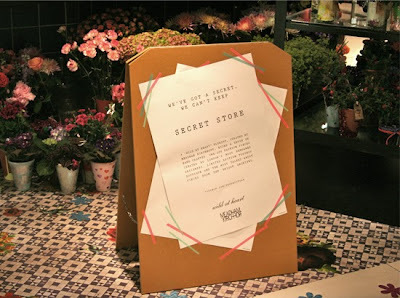 So, despite the fact that I was in London and did pop in to Oxford Circus Topshop I completely forgot to check out their newest fashion collaboration. The difference this time is that it's not clothes that have been produced but a pop-up florist (also at Topshop New York). 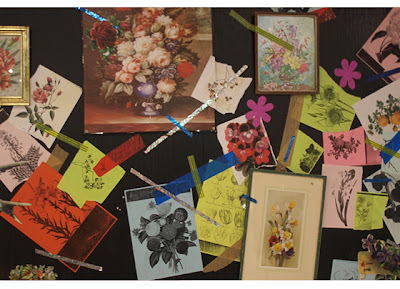 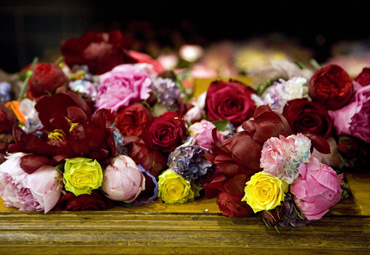 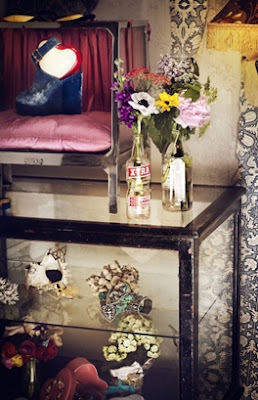 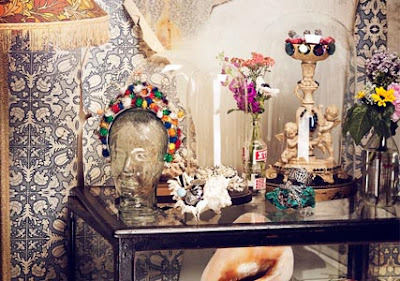 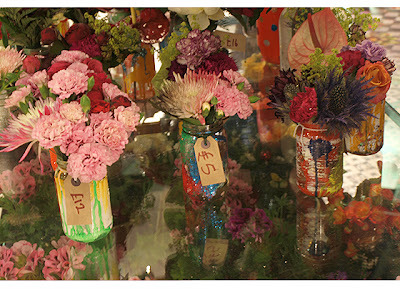 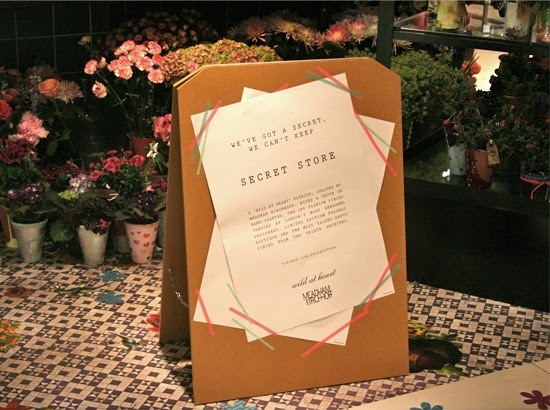 Topshop have teamed up with design duo Meadham Kirchoff who have curated displays of buyable floral arrangements. 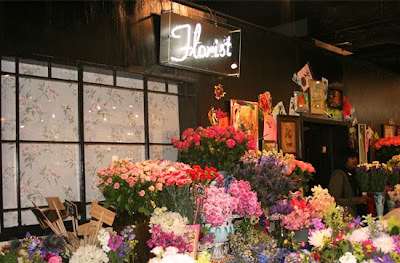 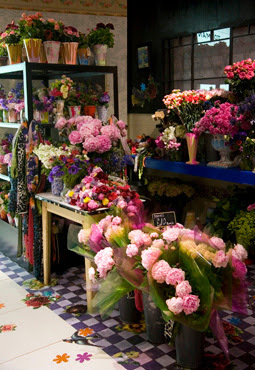 The florists is also the entrance to a hidden section of the flagship store, hosting jewellery and womens wear by London and New York designers including Pamela Love, Nasir Mazhar, Ann-Sofie Back and Meadham Kirchoff themselves, as well as re-issued pieces from the Topshop Unique archive. 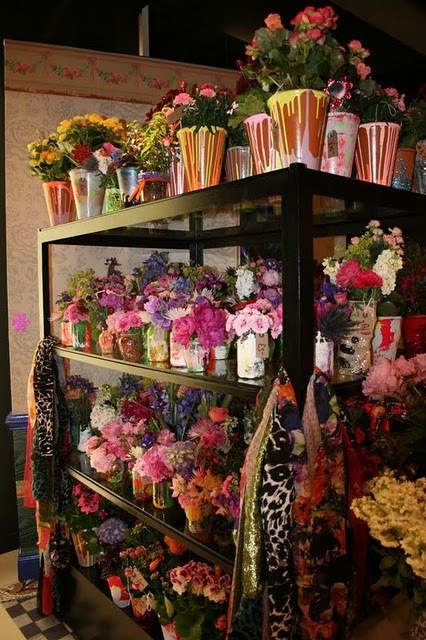 Ed Meadham and Ben Kirchoff worked with Nikki Tibbles of Notting Hill's Wild At Heart for the launch of their first flower stall, which included trawling New Covent Garden's flower market for peonies, azaleas, poppies and sweetpeas. 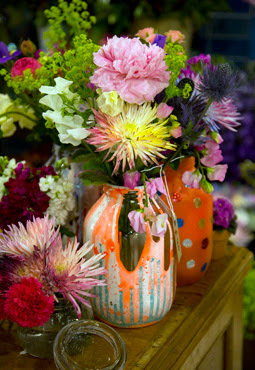 "The idea is that if you’ve only got a few pounds to spend, you can still go home with a flower or a plant...It’s going to be very teenage-bedroom-y...No two bunches will be the same...We’ve been to car-trunk sales and vintage markets to source pots, and painted them in the studio. We’re wrapping them up with hair accessories and things for baby showers. 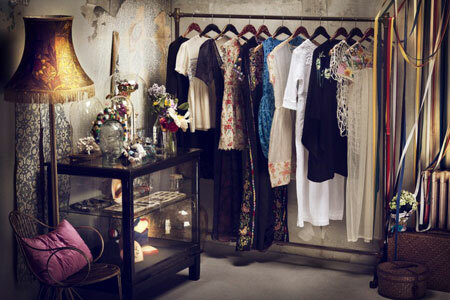 It’s going to be very us"